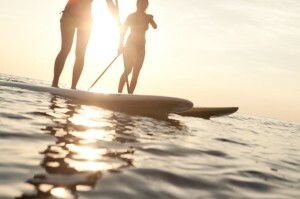 Get your feet wet with Sleeping Bear Surf & Kayak, Northern Michigan’s 1st freshwater surf shop! We offer a full range of options to get you out on the lake and having fun. We have C4 Waterman stand-up paddleboards (SUP) for flatwater paddling. And when the waves are up, rent a surfboard, skimboard, bodyboard or a giant SUPsquatch and catch the excitement of riding a freshwater wave! No matter what the water conditions are, we have your gear!